Pressure filter is widely used in mining, metallurgy, petroleum, chemical, pharmaceutical, textile, printing and dyeing, paper making, coal washing, sewage treatment and other industries. Due to a wide range of applications, there is a strong competition of filter press industry. 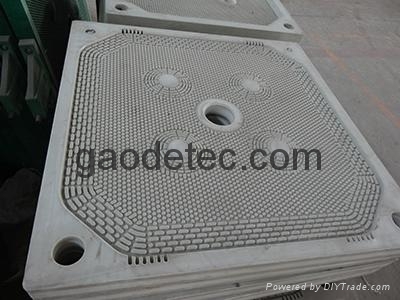 Gaodetec is one of the earliest manufactures of filter press in China. When the industry of membrane filter press has begun to develop, our factory spent much cost to import advanced technology from abroad so that we can take part in the competition with foreign competitors. Now, more and more clients prefer our filter press due to the high quality, better price and superior service.